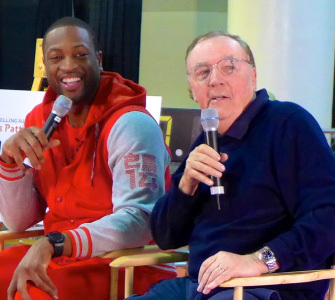 Author James Patterson is again teaming up with Miami Heat guard and best-selling author, Dwyane Wade, to show kids the importance of reading for success in life. The second installment of their One-on-One series is dubbed the “All-Star Edition,” and features some of the best NBA players in the game. The webcast, airing April 24 at 1pm EST, is free to schools, libraries, and home viewing via www.JamesPattersonEvents.com, where viewers can sign up in advance to watch. So, sports were on my mind when I spoke with Patterson about the importance of literacy in kids’ lives. But to Patterson, this is no game. 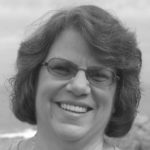 He strives to wake people up to the urgency of this topic saying, “Getting our kids reading is a matter of life and death; this is not about grades or what college these kids might be going to. This is about saving kids’ lives, and if we don’t get our kids reading now, many of them aren’t going to make it.” He recently saw this firsthand when he visited prisons and talked with inmates who haven’t had the benefit of education and are now serving years of their lives incarcerated. Patterson also cites the sad fact that some states base the future need for prison beds on third- and fourth-grade literacy scores. Patterson stresses that we still need to do more. Parents, grandparents, and caregivers must be responsible and take the initiative to get children reading. 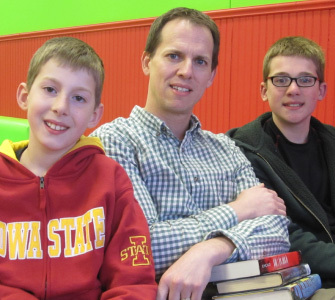 Being a reading role model, especially as a father, has always been important to me. Patterson acknowledges that parents don’t have to be reading literary novels; it is important for kids to see parents “reading anything; newspapers, magazines, iPads, anything!” I agree that this is a simple way to be a reading role model; I make a point to show my kids that I am excited about reading, and make sure they see me reading daily. James Patterson ended our interview together saying emphatically, “Let’s try and get these kids reading!” Maybe it’s because he has teamed up with NBA stars, maybe it’s because he used to be a pretty good basketball player in his day, or maybe I just have sports on my mind … but he sounded to me like a coach breaking a huddle after drawing up a good game plan. Either way, we all should follow “Coach” Patterson’s lead.